Mid-calf lace-up boots keep you comfy and looking cute when paired with leggings, a tunic, and a printed scarf. Over-the-knee lace-up boots give off a sexier vibe, especially when worn with a dress. Add a long cardigan and hat for a fall-appropriate look. Wear your lace-up ankle boots with knee socks, a dress, a scarf, and a long cardigan – and a puppy. Preppy meets boho! Mid-calf lace-up boots look ~so fall~ with knit socks over tights, a dress, a cozy scarf, and a sweater. Cuff up your jeans when wearing lace-up ankle boots so you can show them off. Or you can tuck your skinny jeans into your boots. A cozy sweater, scarf, and beanie complete the outfit. 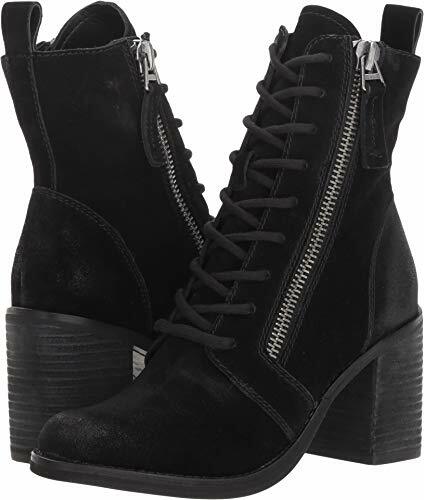 Make an oversized sweater or a sweater dress look sexier by adding OTK lace-up boots. Give your mid-calf lace-up boots a slightly different look by wrapping the laces around the boots just above your ankle. Lace-up boots don’t have to only be paired with solids – look how cute they look with these patterned jeans. Make your lacy white dresses work for fall and winter by adding OTK socks and lace-up boots. Don’t store all your summer shorts away! They look perfect for fall when worn with tights, lace-up boots, and a cute sweater. To do something a little different, don’t lace up your mid-calf boots all the way, and fold down the top part. Go for the Kylie Jenner look with high-waist shorts, a plaid shirt around your waist, and of course, over-the-knee lace-up boots. Combine two of fall’s biggest trends: warm ponchos and OTK lace-up boots. It doesn’t get more perfect than this comfy outfit: skinny jeans tucked into lace-up boots, and two warm sweaters. For a more casual, effortless look, leave half of the boots unlaced. Wear your mid-calf boots over high socks and jeans to stay super warm. OTK lace-up boots don’t have to be worn with dresses. Look how awesome they look over jeans. 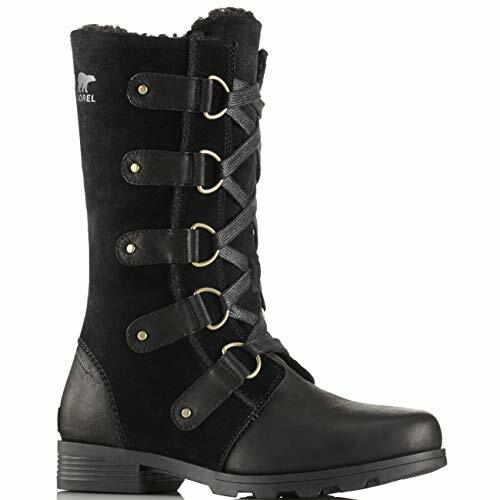 Just like with mid-calf boots, you can choose not to tie up to the top with OTK boots. And of course, you can’t go wrong when wearing all black.